Lee Ann Donaldson is a professional tarot card reader and teacher of practical magick, living in Greensboro, North Carolina. 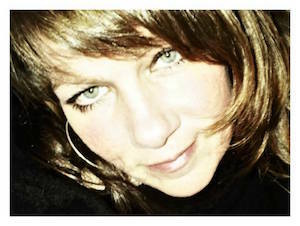 Naturally intuitive, Lee Ann has been working with Tarot and its many facets for over twenty-two years. She combines her extensive knowledge of tarot with the gift of intuition to give honest, clear, and insightful readings. She reads from a place of honest intuition, reading only what she sees, leaving no room for dramatic ad-libbing, emotional manipulation or nonsense, allowing her to delve into the deeper meanings of one's life so that real and positive changes can be made. From Tarot for Beginners to Elements of Magick, Lee Ann offers a variety of magical workshops throughout the year. Ultimately she feels that Tarot and Magick are amazing tools to be used for spiritual growth and self-empowerment. She enjoys being able to share their many uses with others. Reservations are recommended. Call (336) 373-0733 to reserve your time with Lee Ann. Rates are $30 for 15 minutes, $45 for 30 minutes, $65 for 45 minutes or $90 for 1 hour.